“The Periodic Table: Learning Basic Chemistry through Moe” by Miyuki Mitsuda, is a perfect way for studying the periodic table in a fun way. 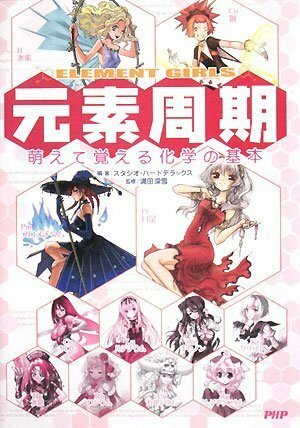 Each element has its own girl that reflects the element’s properties in design and characterization. Humanization makes it easier for the brain to relate to abstract concepts, something to remember when applying the humanization principle. Fields of application range from education, branding, attachment-building to faster signal recognition. See also this post about traffic harmonization where humanization was applied.